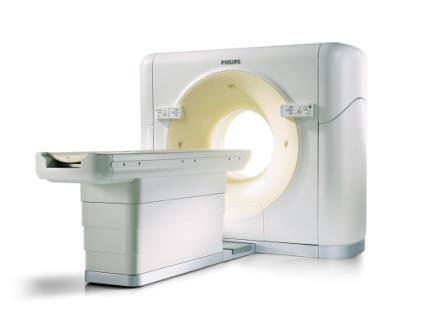 The Philips Brilliance 16 CT scanner is one of the top models available for everyday scanning. This scanner provides a unique combination of efficiency, image quality and affordability. The Brilliance also features Philips’ exclusive DoseWise technology, which helps you reduce dose without affecting image quality. The Philips Brilliance 16 CT scanner is fast enough to measure up against many more expensive systems, and the Brilliance Workplace is widely acclaimed as one of the most efficient and user-friendly. Your operators and your patients will appreciate the speed of this system, and its image quality will allow you to provide a quick and accurate diagnosis. The Brilliance 16 multi-slice configuration provides 16 slices per revolution for large volume and thin slices. With the Brilliance 16 you get a system that provides fast acquisitions with RapidView as well as high quality images for all of your clinical needs. You can see true real-time imaging with up to 20 images per second. The Brilliance 16 CT scanner is equipped with the Philips MRC X-Ray tube that provides legendary reliability and almost instantaneous cooling. You will also have access to the Brilliance Workstation user environment that will improve your productivity by working the way that you work.